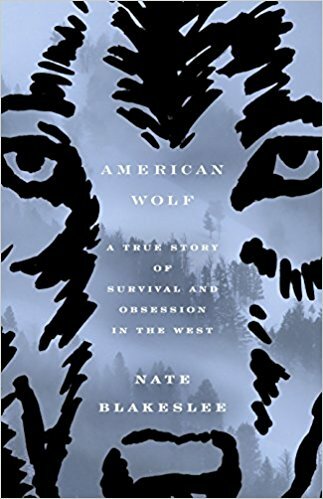 Join our book group for a lively discussion of "American wolf : a true story of survival and obsession in the West" Nate Blakeslee. "The enthralling story of the rise and reign of O-Six, the celebrated Yellowstone wolf, and the people who loved or feared her. Before men ruled the earth, there were wolves. Once abundant in North America , these majestic creatures were hunted to near extinction in the lower 48 states by the 1920s. But in recent decades, conservationists have brought wolves back to the Rockies, igniting a battle over the v ery soul of the West. With novelistic detail, Nate Blakeslee tells the gripping story of one of these wolves, O-Six, a charismatic alpha female named for the year of her birth. Uncommonly powerful, with gray fur and faint black ovals around each eye, O-Six is a kind and merciful leader, a fiercely intelligent fighter, and a doting mother. She is beloved by wolf watchers, particularly renowned naturalist Rick McIntyre, and becomes something of a social media star, with followers around the world. But as she raises her pups and protects her pack, O-Six is challenged on all fronts: by hunters, who compete with wolves for the elk they both prize; by cattle ranchers who are losing livestock and have the ear of politicians; and by other Yellowstone wolves who are vying for control of the park's stunningly beautiful Lamar Valley. These forces collide in American Wolf, a riveting multigenerational saga of hardship and triumph that tells a larger story about the ongoing cultural clash in the West--between those fighting for a vanishing way of life and those committed to restoring one of the country's most iconic landscapes." --Jacket.